New home for Arco Iris! We've moved into our permanent home! 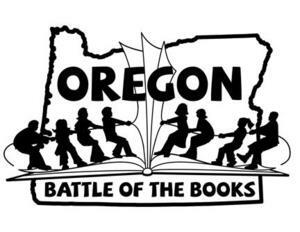 It's time to sign up for Oregon Battle of the Books (OBOB)! Please register your 3rd-8th grade child by following this link and filling out the online form: https://goo.gl/forms/xP167n2FFHhLJQ1A2 Please register by Friday, November 2 to ensure prompt team placement. If you have any questions, please contact Jennie Peterson (jennie.peterson@gmail.com) or Joe Morris (joemo.morris@gmail.com). Congratulations Arco Iris Community! Click on read full story to read all the ratings! December 19, 2018 All Schools in Lockout 9:00 a.m. The District has directed all school to go into a lockout at this time. This is a precautionary measure for all schools today and to ensure the safety of our students, staff and community. This lockout will be in effect all day. A lockout means business as usual inside the school. All perimeter doors are locked. Parents/guardians – if you wish to pick up your children, please go to the school office to check your student out. Oregon's top 25 elementary schools! Arco Iris made it on the list of the top 25 elementary schools in the state as #21. Click on read more to see the article!